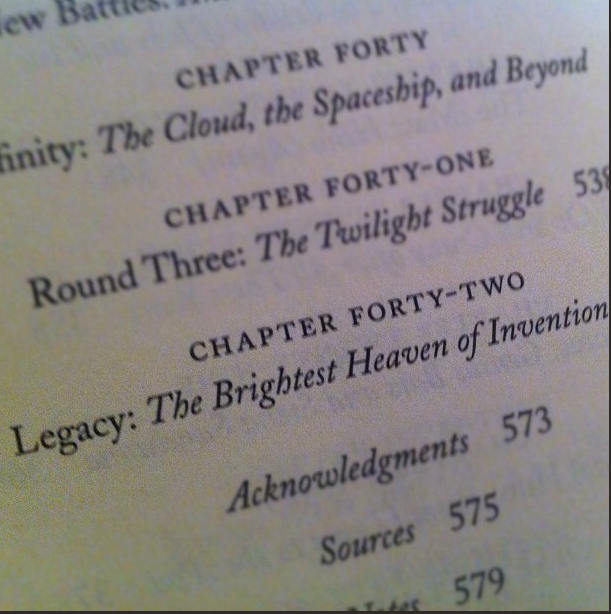 Steve Jobs' Biography has 42 Chapters. Coincidence? I think not. Steve Jobs’ Biography has 42 Chapters. Coincidence? I think not. As observed by SF based Designer/Developer Faruk Ateş, Steve Jobs’ biography has 42 chapters. Interestingly enough, Steve Jobs and Adams have a history. Adams was an Apple devotee whom the company promoted to “Apple Master” a rank given to celebrity spokespeople. Apple ended the program in 2002. On that bombshell. Siri, what is the meaning of life?